1. 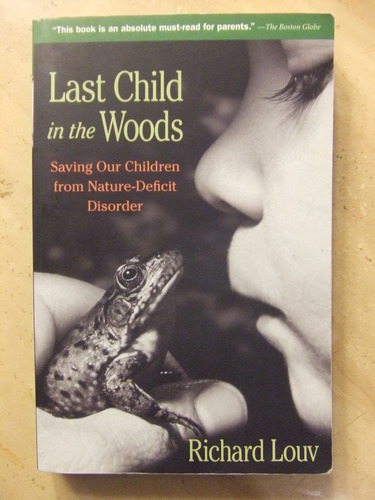 Children and Nature 2008: A Report on the movement to reconnect children to the natural world. 2. C&NN Community Action Guide: Building the children and nature movement from the ground up. Jenny Morgan had the great idea of having a Leave No Child Inside book club, where members could really take the time to read a lot of the great literary work that has come up in the last few years, including books, lengthy articles, studies, etc. Frequently we see these works referenced, but donâ€™t have time to read them. Or we read them, but donâ€™t have the benefit of reflecting on them with others who are passionate about the topic. These book club meetings will be held at coffee shops or the like, locations to be announced. Please mark your calendars if you are interested! Book club – first Thursday of each month, 7 p.m. to 8:30 p.m. This is a great idea. My wife and I both are interested in joining the book club.